I have decided not to re-edit it (much), so please understand that I am now a mature, responsible leader and do NOT hold anything I wrote below against me or the Unit!!! All of this un-official as I am at present just a Parts Sales Leader. 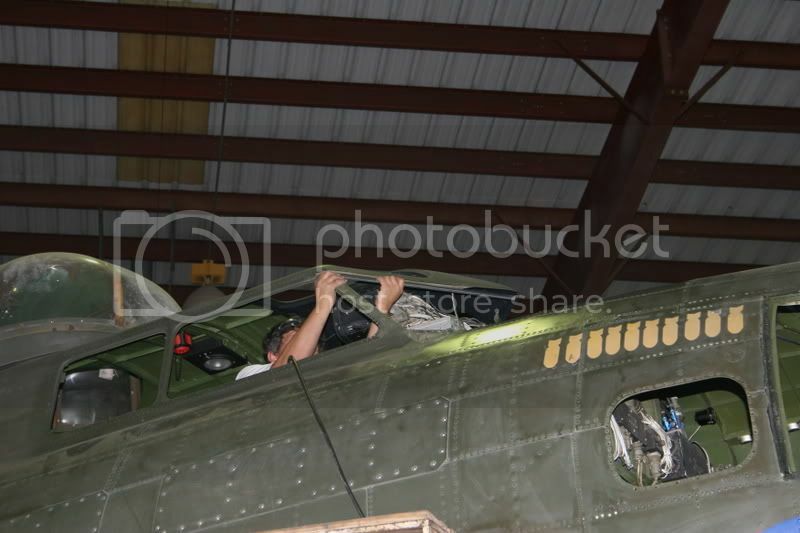 BUT the Dream is to have a Flight of Two B17s at the next Lone Star Flight Museum event in April 2008. 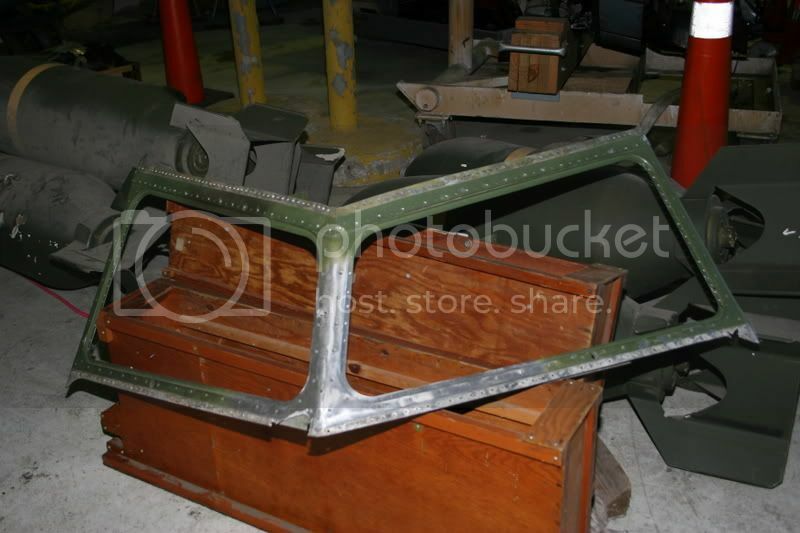 Yes Gulf Coast Wing-CAF has had some set backs, such as corrossion found in the windscreen frame and the chin turret gun-tub. But that has been balanced by accomplishments, such as the Number 3 inboard firewall seeing progress towards the day its Wright Cyclone can be hung. When it is done the team will move to Number 2 firewall. Now there are four re-conditioned propellors on pallets. More fuel systems components are where they are supposed to be, on the airplane. 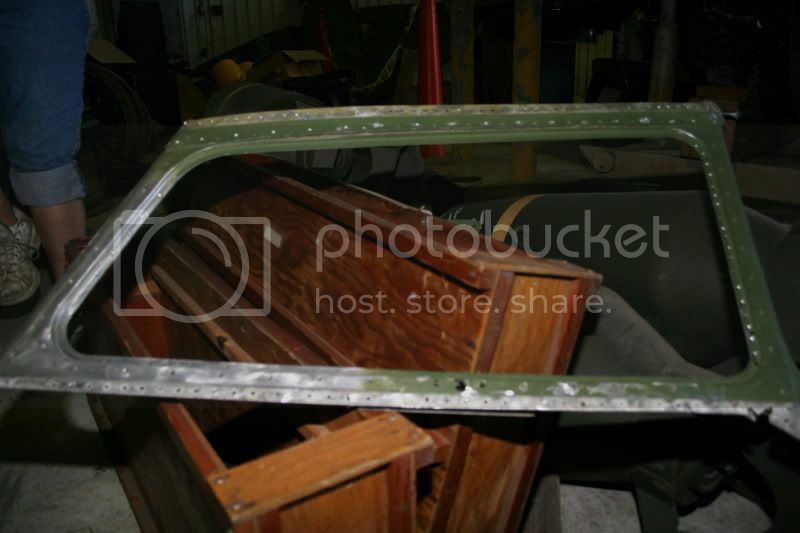 Benny the A&P has crafted a gorgeous new windscreen frame, Rick Robins cleaned out the "gookempuckey" out of the hydraulic manifold under the Co-Pilot's side of the Flight Deck and the list goes on. MOST IMPORTANTLY we have more volunteers and some hired guns. Thanks to our partners at Lone Star Flight Museum, (who along with West Houston Squadron-CAF and Gulf Coast Wing-CAF put on Wings Over Houston) we have become more than partners. I don't feel the least bit bashful in calling them brothers. More and more LSFM and WHS volunteers are showing up and helping a bomber in need. It's enough to turn a red-neck like myself downright Churchillian. Barry Elkins, A&P, IA was the first person to state that HIS goal was to have the TEXAS RAIDERS flying over Galveston alongside THUNDERBIRD. Again this is unofficial, but I cannot imagine Larry Gregory and the other fine folks at LSFM saying TEXAS RAIDERS STAY HOME! Along with Barry, others in the blue and gold shirts are filtering in from time to time and lending experienced, much needed hands. Last edited by SPANNERmkV on Wed Oct 14, 2009 5:59 pm, edited 2 times in total. I can't wait to see her back in the air. Well it worked for the B-24, lets put the "WIX" on Texas Raiders I'll put the first $100.00 in the hat. Who's next, Ober , as long as Scott says its ok. Don, we'll need an address. Good to hear Don!! Barry is one of the best people you could ever have on your side leading the way!!! It's been long over due to have two B-17's in the HOuston area in the air together!!!! Keep up the great work GCW!!!! Now this sounds like what the Warbird community it all about. You couldn't ask for a better person than Barry to be helping with the project. I am really sad that I know longer live Houston - If I could I would be in there helping out along with the other LSFM folks. Say hi to the LSFM gang for me- See ya all at Fly Day in Galveston in a few weeks. Yeah, without Texas Raiders you boys haven't been at full strength. Who knows, ya might get overrun by some Yankees out on Southern patrol! Anyways, I think that WIX has found its next topic piece for the cold months. Not to mention that we also can still look forward to Fifi's work to be done too! You think Chuckie would get in on that flight too? (Wow, I never quite noticed it before but one state has a huge collection of Warbirds! 3 potentially flyable B-17's, a B-24, and a B-29! Warbird Kid dont forget that the Lone Star Flight Museum has a NAVY B-24 that is being restored to Fly too ! not mention all the the B-25's A-26's as well ! Always Keep Em Flying ! Hows that for an airshow line-up? I never left Texas with that list. Pictures? We gotcher pictures right here! SPANNER, will there be improvements to TR other than just mechanical. Any additional equipment or things that will be added that she didnt have before??? You need some help some weekend for a BIG PUSH, I got a couple of airline mechanics here that would probably come out and help!!! We are 1 flt to IAH. You guys going to paint her again or just touch up??? Think it would be nice to see another rough looking 17 out there! She will be flown rough at first, with touch-up paint where needed. A bunch of GCW members love the "100 mission" look! Never say never, BUT SHE WILL NEVER BE ALL SHINY!!! We CANNOT slow down the return to flight ops. to install the top turret innards at this time. But we will in the future. Gotta go take an official work break. N3N-3 Jeff... Will call when the big push, engine hanging party comes. I agree on the "100 mission" look 100%!!! One not so shiny Fortress. (TR) And the other............ well, you could probably eat off her!